So it's no secret that Masonry has it's secrets--A bad joke. 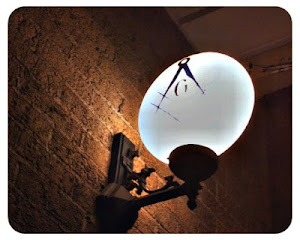 A while back I became interested in something which I thought was a real problem within Masonry, not the Symbolic Lodge (Blue Lodge) but within the confines of the Ancient Accepted Scottish Rite. As a District Education Officer, I take education of the brothers pretty seriously. To be sure, our official duty as education professionals is to see that the Grand Lodge's goals are met as well as the Area Deputies (Inspectors). But, many of us look into all facets and look for patterns of things that worked and things that didn't. Some of us, myself included are obsessed with data or analytics. 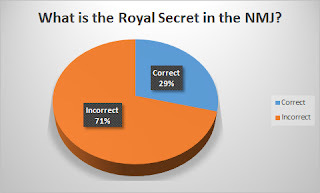 About a year ago I became interested in the differences between the Northern and Southern Jurisdictions in the Ancient Accepted Scottish Rite, specifically the conveyance of the "Royal Secret" to the class of candidates. In the NMJ the 32nd degree is titled "Sublime Prince of the Royal Secret" and in the SJ it is titled "Master of the Royal Secret". 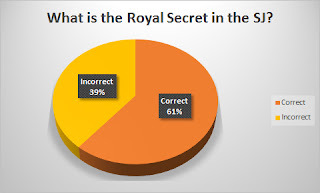 There are actually two different "Royal Secrets" and I was finding that there was much confusion among the brothers as to what their respective jurisdictions secret was. So I did the only thing I could do, I ran an anonymous survey. Here, compiled for your convenience are the results of that survey I ran just a short while ago. We had over one-hundred responses to the question "What is the Royal Secret? ", prefaced with the question "What jurisdiction do you belong to?" As you can see from the results, the SJ did a little better than the NMJ, but one thing is for sure, it looks like we have some confusion. Feel free to discuss. My one observation that I will offer up here is that you would be hard pressed to find a Freemason who doesn't remember the password of the Master Mason Degree, and to that end, if the AASR was as proficient as a blue lodge, these graphs would show the only acceptable number, 100%. I plan on running more short surveys in the future to gain insight into this great fraternity and you can expect more posts like this from me in the future. I hope you find the results as interesting as I do. Labels: aasr, differences, education, Freemasonry, grand lodge, masonic, Robert Johnson, royal secret, Scottish Rite, secret, whence came you?